Are you in need of refreshing? Perhaps you need an activity, or lack thereof, to renew personal strength and energy particularly after pouring out physically, emotionally or mentally. These moments usually don’t just happen! Taking time to refresh often takes planning. What ways have you developed to refresh yourself? A good book, a movie night, a vacation, a relaxing bath, a game of golf, a walk in the woods, a lounge on the couch, or time at the gym? For each of us it might look quite different. I just spent a few days with others who are involved in ministry at a lakeside retreat. Those few days away with others of like mind was refreshing, enabling me to return home encouraged and with renewed vision. It wasn’t without struggle though! 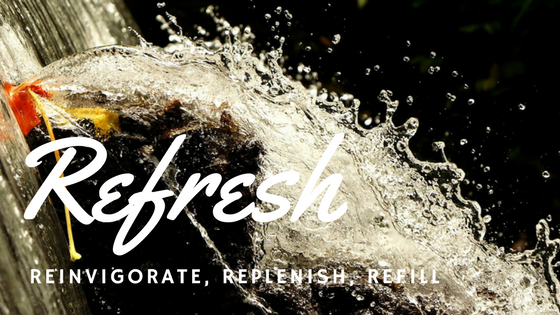 To refresh means to reinvigorate, or give new strength or energy. I must admit I set out on this little adventure feeling tired. My mind and body were in need of some down time! Those present were in full time ministry and have been most of their lives. Honestly, I felt like the odd man out or the ugly duckling – the one that just didn’t fit! I can easily identify with farmers and labourers. It is a culture I know. Such has been my life’s work. The full time ministry environment is relatively new and feels a bit uncomfortable. like wearing a new pair of shoes. After the first evening’s activities, I snuggled into my sleeping bag to read again from Romans. Sometimes God has to speak clearly! This was one of those nights! My struggle was a serious struggle of identity and belonging. Here I was in the company of amazing men and women. God gently whispered His confirmation to this little servant that yes, it was His will, that I be here at a “Refresh” conference to, in fact, be refreshed! I almost laughed at the simplicity of God’s affirming word. I began to recognize I am in His perfect spot at the right time to be reinvigorated, strengthened and energized. Is it just me who knows, but forgets? My bible is an important tool to refresh my mind. The words within at times feel like a gentle reminder of truth, and at others like a baseball bat to the shin! When I am weary and in need of refreshing, I can easily forget who I am in Christ. eyes weary with longing, and a despairing heart. I am being painful honest. When I am feeling drained emotionally, physically, mentally or relationaly, I fit this description! Back up a few verses! You will find this is not a condition associated with the blessing God promises, but rather the result of opposing God. There is no victory on this side! “You will be blessed in the city and blessed in the country. 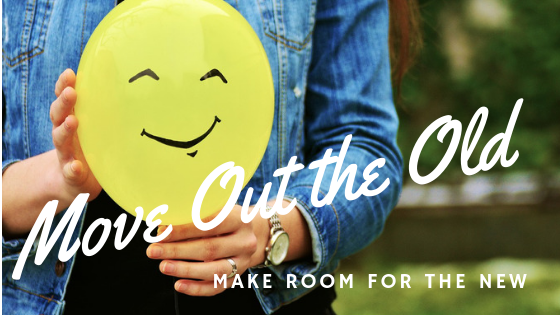 No room for anxiousness, weariness or despair here! My circumstances may be a long way from lining up, but there is nothing to keep my mind and heart from agreeing with God’s truth about me and my family! It is time to remember what I know! The third main meaning of refresh is to refill, recharge, or replenish like a drink in a container. I leak! That probably doesn’t come as a surprise to you, but sometimes I forget that too! I need to take time to refill, recharge and replenish those areas where I have been pouring into the lives of others. God is a never ending Source; I am not! The only way to truly fill up is in the Presence of God. There are no “drive-through windows” or “fast-track” to refuel. It requires time with God, waiting on the Holy Spirit, and lavishly worshiping Jesus. To refill our emptiness we must wait in the stillness of quietly knowing and resting in Him. It is the beautiful being “with” God. Here alone is the place of ultimate refresh! Holy Spirit is ready to “keep on filling constantly and continually” our leaky containers. It is like being thirsty on a hot day, a sip of water is never enough! In the same way, only Holy Spirit satisfies are deepest thirst! We come into His Presence one way and leave changed. Then when we “leak”, we leak Him! We leak His love and goodness! We leak His grace and truth! In so doing, our refreshing, becomes the refreshing others can taste and see for themselves. I think leaky buckets is an apt description of God’s intention for us. God refreshes us for the purpose of leaking enough to refresh others. I like that! The 3 Keys of Effective Ministry! Secrets of Success! Since we all live real lives with dusty feet and bombarded minds, it is hard to fully fathom the truth sometimes. As Christians we are bound to blessing. In every situation, we are victorious in Christ. As I read my bible, I am often overwhelmed with God’s great grace in turning curses, failure, and disgrace in blessing. It is evidence of His redeeming character. Look at Balaam (Numbers 23 & 24). The king of Moab hired Balaam to “come and put a curse on” the people of Israel. However, much to Balak’s distress, again and again Balaam could speak only blessing. “But the LORD your God refused to listen to Balaam. This wasn’t a fifteen year cake-walk for Joseph. Yet, he learned to depend on the faithfulness of God to turn the worst of circumstances into the greatest of blessings. Haman was determined to have not only Mordecai but all Jews executed. The book of Esther is a beautiful illustration of God turning the evil intentions of others into freedom for an entire nation. I could mention Daniel, David, Paul and the early apostles; the greatest example is Jesus Himself. Undoubtedly, Jesus Christ is the greatest reversal of curse to blessing, bearing the full weight of all curse to bring humanity full blessing. Perhaps, it would be wise to settle ourselves before the day comes. God delights in using trouble and struggle as a channel bringing spiritual good to many. Difficulties help us to see and understand in ways that were impossible for us before. It is proof of God’s nature to bring blessing. Yet the turn around does not always come in our lifetime! Christ must be first! Always! Back up a few verses and you see Paul is talking about being “hard-pressed… crushed… perplexed… persecuted… struck down“. Hardly light or momentary unless viewed from eternity! Perhaps the first thing to do is a little self-examination. Perhaps God is using the opponent or critic to help us deal with a blind spot or sin in our own lives. Even when the opposition comes harshly or with poor attitudes it may be worth taking a moment and asking God what His thoughts are in the situation. 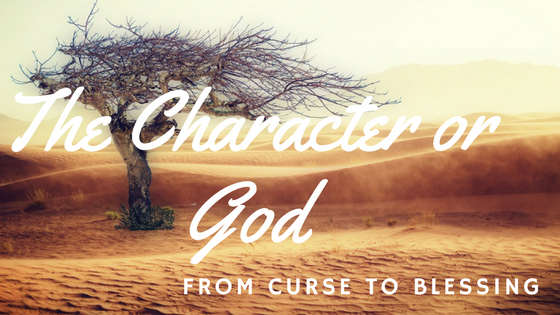 When we begin to believe God intends to turn curses into blessings, it will change the way we see adversity. Sit down today with pencil and paper; begin to write down every adverse thing that is coming against you and your family right now. It probably won’t take long to create a good-sized list. Now on a second piece of paper write out the opposite; write out what God’s blessing would look like. I remind you that in Christ, you are forever bound into blessing. The final step is completely destroying the first list! David used the very sword of Goliath that was coming against him to defeat his opposing giant. As a result, the whole nation followed in victorious courage. Quite often. the thing that is coming against us the strongest is the very place God desires to use to bring victory and blessing. You only get one chance to enjoy the blessing of firstfruits, after that it isn’t first fruit any more. 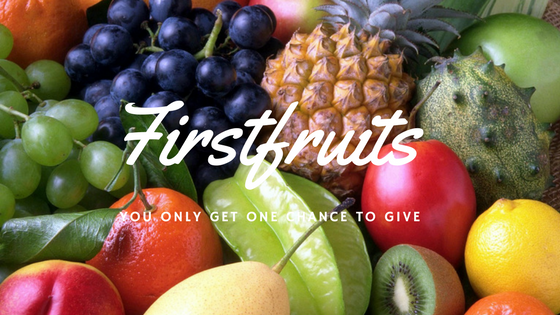 That is why firstfruits are the most important when it comes to giving. Spring is the season of anticipation! The first signs of tulips and blossoms after the cold darkness of winter revives something in me. Anticipation of the taste of fresh veggies and fruit lifts as bedding plants are placed out to harden and soil is worked. Earth under finger nails and between toes is a familiar comfort to every gardener. One of the pleasure of gardening is sharing with others. Whether the beauty of a well landscaped yard, the abundance of fresh tasting eats, or homemade pies, gardeners labour to share! Giving is part of the joy – the natural overflow of abundance. Every gardener also knows that though they may plant the seed, weed carefully and water faithfully, he is not the one that produces anything! “A man scatters seed on the ground. though he does not know how. first the stalk, then the head, then the full kernel in the head. Giving God the first part joyfully recognizes He is the Giver of all good things; He is the Supplier of all I possess. Though I enjoy the hard work involved, my hard work produces nothing but sweat and fatigue unless God blesses! Giving Him the firstfruits is simply setting my little basket of thankfulness before Him. When we give, only God knows how many others will benefit. II Kings 4 :42-44 talks of a man bringing his firstfruits. Elisha takes his little loaves and uses them to feed over 100 hungry men, with leftovers to spare! I’m sure the giver had no idea what would come of his simple gift! Little did he know that generations later some other little giver would be encouraged by his act of obedience. Responsibility is a weighty word. But don’t let the weight fool you, the benefits far out-measure anything. God makes it clear that with the giving comes a blessing for your whole household. Who doesn’t want that? The barns speak of everyday needs; the vats of new wine refer to spiritual blessing – fresh filling and anointing. In both, there is promise of overflow! It is a picture communion – of bread and wine. I can’t help but think of the greatest gift of Firstfruit, Jesus Christ, in the implications of bread and wine. I am so thankful for His overflowing gift of life to us all. His disciples were his firstfruits perpetuating faith in other, right down to you and me. “But in fact, Christ has been raised from the dead. The cycle of life continues in and through Christ like the passing seasons of my garden. We have many opportunities to share from our little or much. When Life Begins is Up to You – Today you Choose!